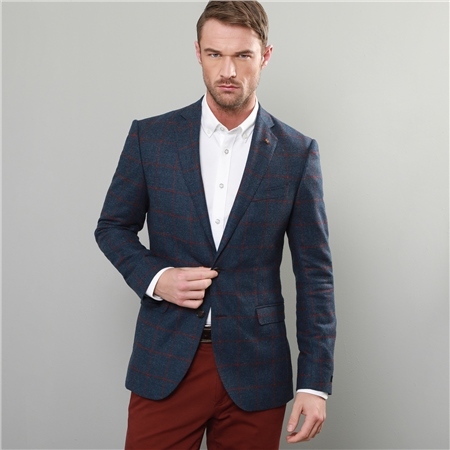 A smart modern blue Donegal tweed blazer featuring a raspberry windowpane check. The wool fabric is designed and woven in our mill in Donegal, Ireland. A great everyday staple blazer for your Spring/Summer wardrobe.